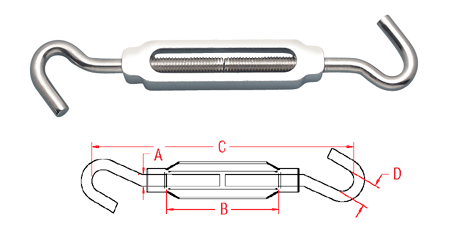 The Hook and Hook Turnbuckle features an open body and is UNC thread. They are available in sizes ranging from 3/16″ to 3/8″ to fit every project. These turnbuckles are made up of an aluminum body and 304 stainless steel eyes, making them ideal for a variety of light duty applications.